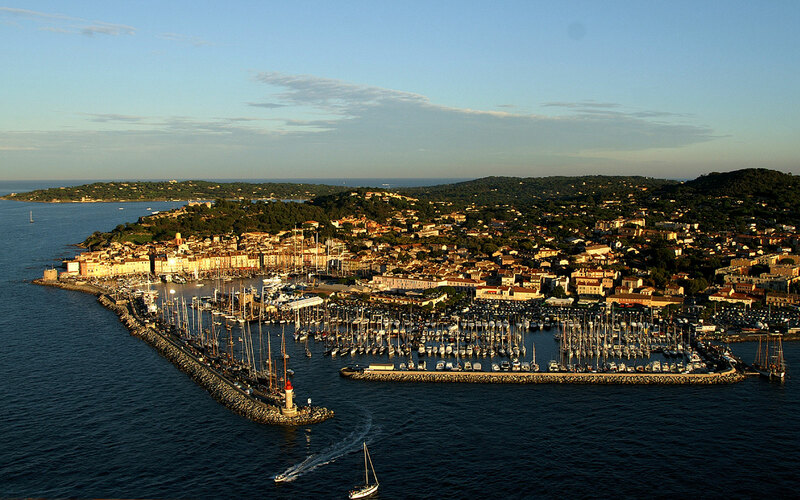 Saint-Tropez, or “St. Trop” as it is often called by those who frequent southern France’s playground, started off quite humbly as a port city and fishing village. By the early part of the last century, Bohemian artists from Paris made it their summer playground and soon jet setters from around the world flocked to this Mediterranean gem. Made famous by Brigitte Bardot, Saint-Tropez has become the ultimate summer playground. One of the best places to call home while visiting the charming town on the French Riviera is Château de la Messardière. Perched on a hillside overlooking not only the town but the Gulf of Saint-Tropez, miles of vineyards and the beaches of Pampelonne, this 118-room chateau started out as a real-life fairy tale castle. Built in the early 19th century, it was a wedding present for a French cavalry officer and his bride. The couple had seven children and lived a peaceful life until the officer–Henry Brisson de la Messardière–met with an untimely death. His wife rented out rooms in the chateau throughout the Roaring 20’s and it was frequently the sight of prestigious visitors partying well into the morning hours. She failed to keep the property going, however, and it was abandoned and fell into disrepair. Rumor has it that a ghost or two might roam the halls of the chateau. In 1989, restoration began on the chateau, which opened for visitors in 1992 as Château de la Messardière. Today, the 5-star resort offers an elegant yet discreet spot for vacationers who demand the very best. Rooms and suites have an Anglo-Moorish feel and you’ll find the most modern conveniences, including flat-screen TVs and free WiFi. 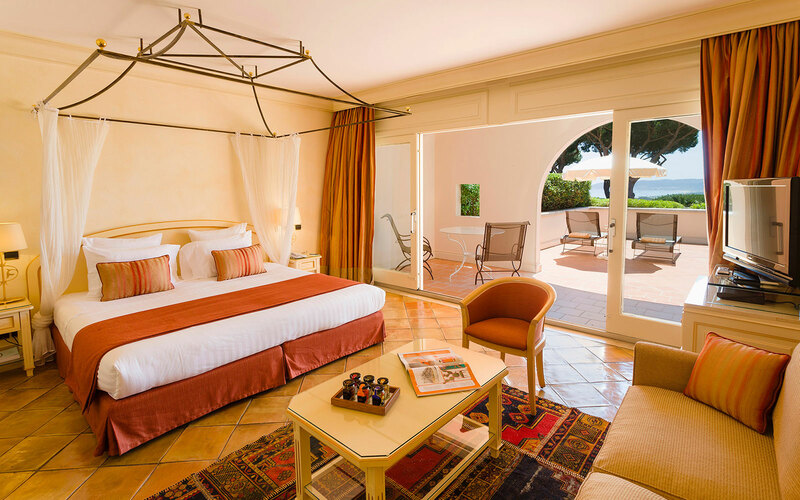 Whether you opt for a room or one of the suites, you’ll have a private patio, elegant bed linens, richly appointed baths and breathtaking views of the sea or the gardens. The chateau sits on 25 acres of preserved bird habitat and impressively manicured gardens, so you’ll be able to enjoy the backdrop of the region that straddles both Provence and the French Riviera. If you can tear yourself away from your room, you’ll be able to indulge in a treatment at the on-site spa, lounge by the shimmering pool or have the shuttle, which is available to guests 24 hours, drop you off in the town center to explore the shops of this classic French town. 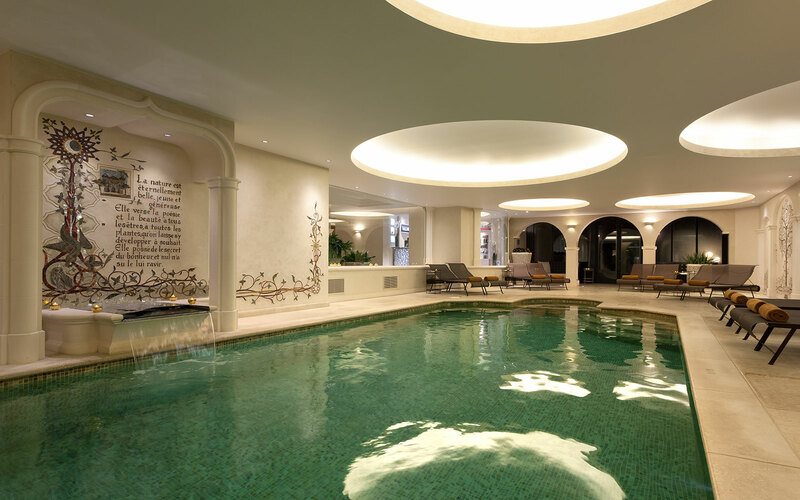 Other on-site amenities include an art gallery that holds works from celebrated artist Victoire de la Messardière (whose family owned the chateau), poolside dining, bars and privileges on nearby Tropézina Beach, a quick 3-minute shuttle ride from the chateau. 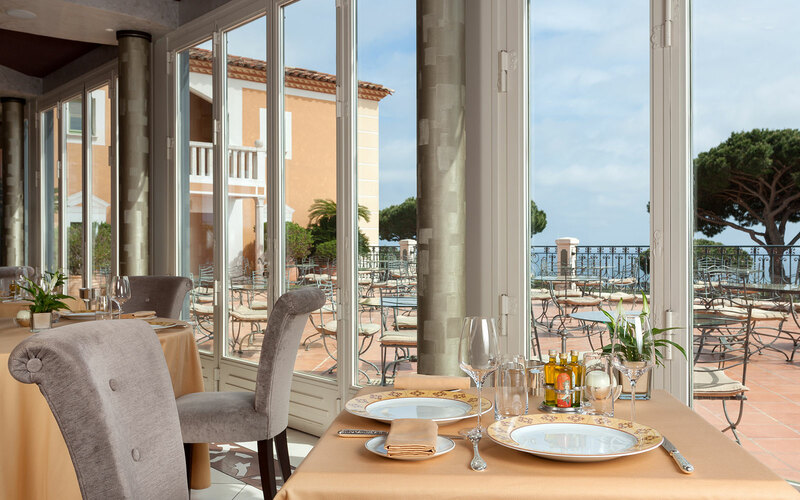 While you’ll find a seemingly endless number of restaurants in Saint-Tropez, your visit wouldn’t be complete without dinner at the chateau’s own Les Trois Saisons. You’ll dine on innovative Mediterranean-style cuisine and can sample wines from around the world. Want to spend a quiet morning on your patio? Order room service and indulge in a classic chocolate croissant while you watch the sun glistening on the distant water. After a day of shopping, sightseeing and sailing, you can head back to the chateau and order tea and unwind in the peaceful, elegant surroundings. Evenings are ideal for sipping a glass of champagne and watching the sun dip out of sight from your perch on the chateau’s grand patio. Château de la Messardière offers the very best for discerning travelers. You’ll be a quick 3-minute ride from the beach, three minutes from the center of Saint-Tropez, surrounded by elegant gardens and glistening waters of the Mediterranean–and living your own fairy tale in this castle on the hill. Prices for rooms start at €360 in low season. The Prestige Suite, which is pictured, starts at €800 per night in low season. You can find the chateau online at www.messardiere.com or by calling +33 (0)4 94 56 76 00. 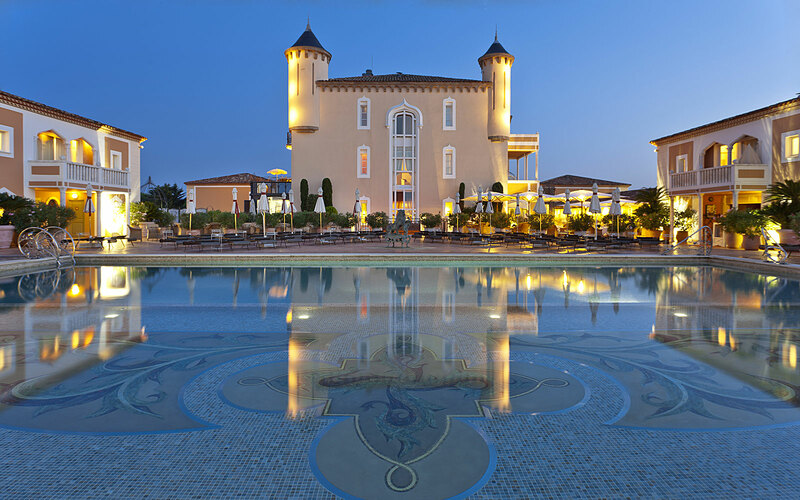 For special Luxe Beat VIP offers at Château de la Messardière call 888.212.6444 or go to classictravel.com/luxebeatvip. What Do Mamie Eisenhower, Ronald Reagan, And Queen Elizabeth II Have In Common?